What makes a “good” manager? This is a book by a manager about managers but it is not just for managers. It is for anyone and for everyone who is interested in the way people – and not just managers - behave and function around the world. 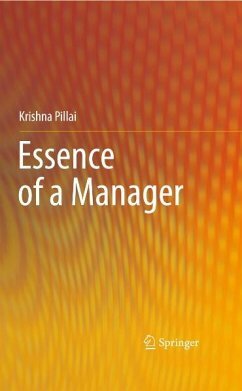 Based on actual experience the title “Essence of a Manager” is a succinct distillation of what this book is about. It is not a management manual and yet it is a map for navigation and a guide for behavior which can be valuable for practicing managers at all levels. 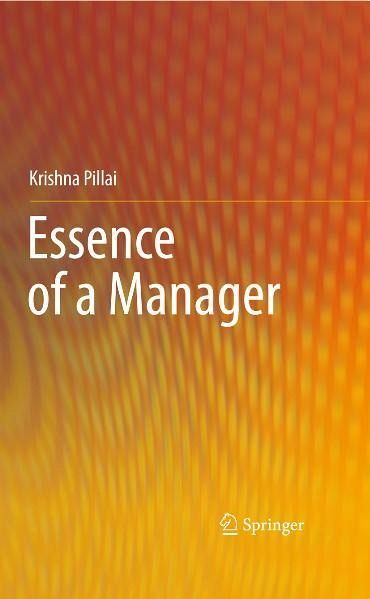 It formulates a sound thesis to describe the qualities needed in a “good” manager and builds up from elemental qualities to develop a holistic view of a good manager. Nine fundamental attributes are proposed as being necessary and sufficient to describe a “good” manager. It is applied management philosophy for a thinking manager and deals with the fundamental drivers which lie deeper than language or culture and which control human behavior. Forewords.- Preface.- 1. The "manager" as a species 2. Have the power, do the thing.- 3. "A Daniel come to judgment".- 4. Communication: hearing what isn't said.- 5. Inescapable networks and relationships of mutuality.- 6. The strength of ten.- 7. The red badge of courage.- 8. "Praise loudly, blame softly": The art of motivation.- 9. "No confidence without integrity.- 10. A touch of class "A man for all seasons" Classy is as classy does.